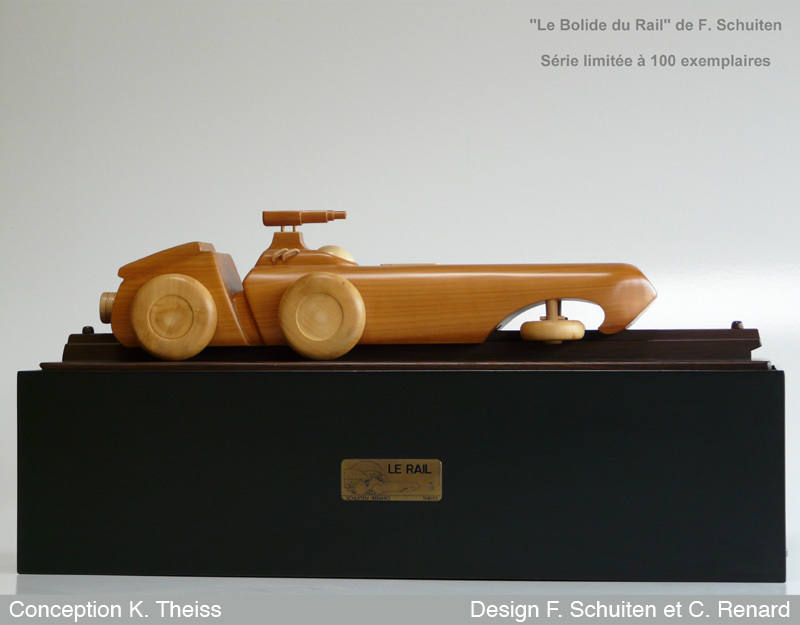 Le Rail is an object made by Karl Theiss after the vehicle from the “Le Rail” album by Claude Renard and François Schuiten. 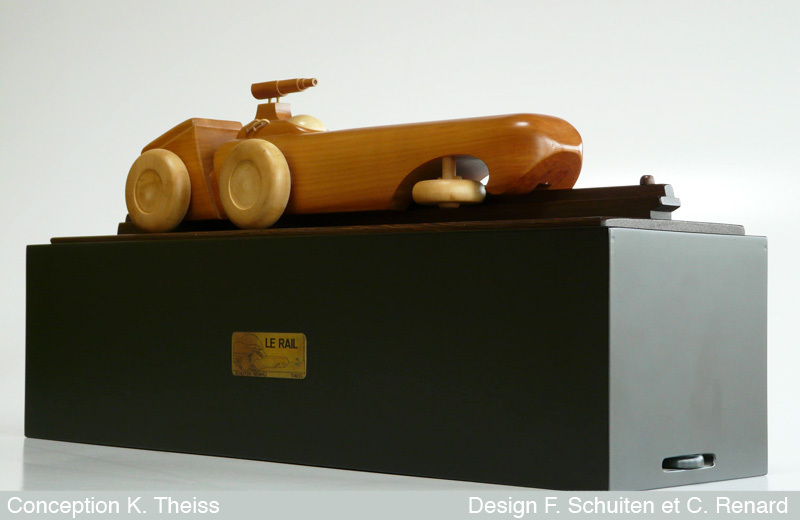 The vehicle is made of cherry wood and the track in wengé. The object is made in a limited edition of 100 copies. The wooden box serves as both packaging and as a display pedestal and has a superb brass inlay. Inside the box is a beautiful lithograph by Claude Renard and François Schuiten, signed and numbered from 1 to 120.